Finally I visit to Seimei-Jinja. Here is not one of the most famous shrine. However, it is famous for Onmyoji Abe no Seimei. It is very suitable for those who like a fantasy. 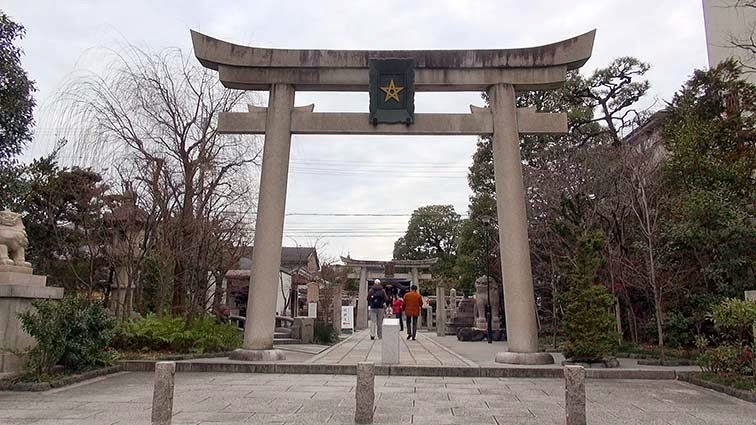 There is a torii of first on the Horikawa street. 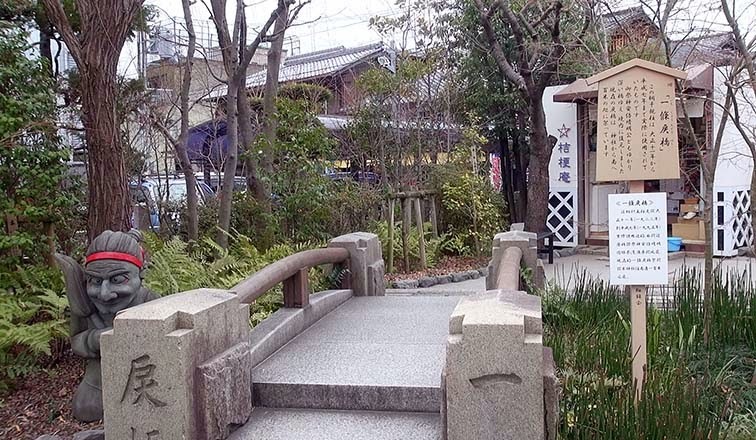 However, it is a small shrine. Therefore, many cars cannot be parked. 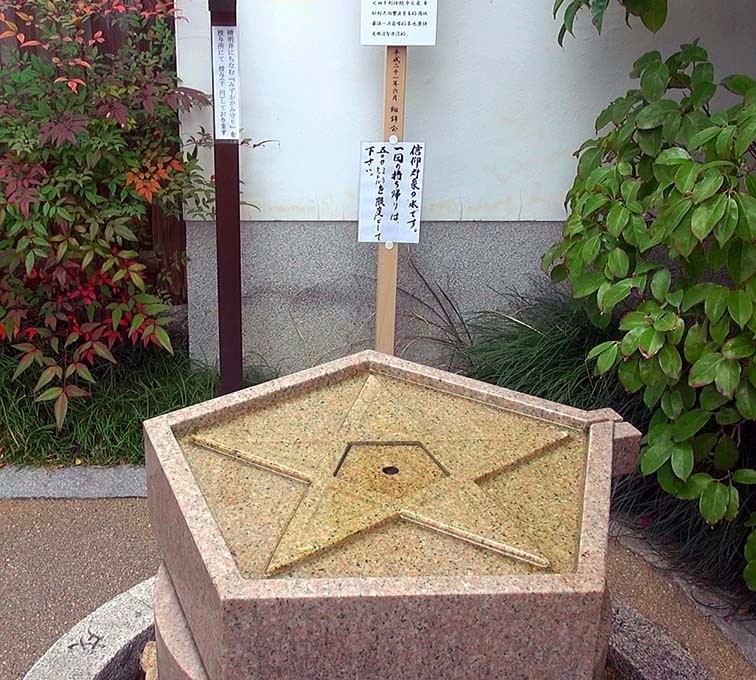 The place in which Seimei-Jinja is located. That is a place with the mansion of Seimei. 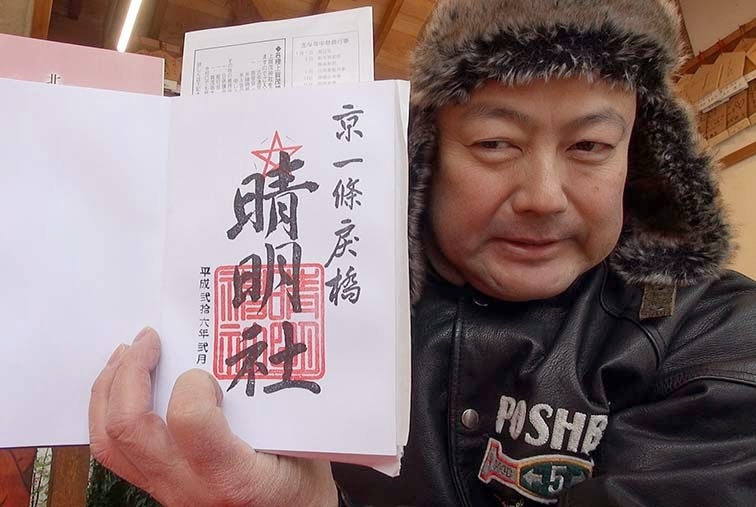 There is a Ichijo Modohashi . 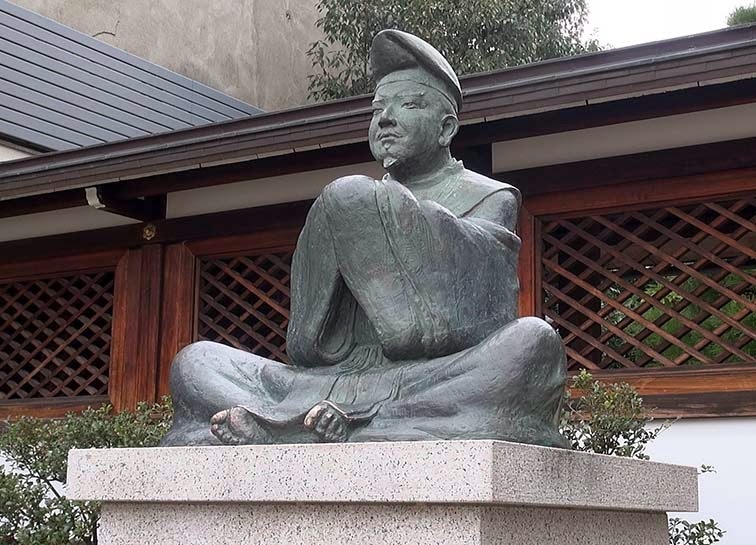 There is a statue of Shikigami. There is a main hall on the inside of the Shi-shin-mon. There is Chozuya on the right side. 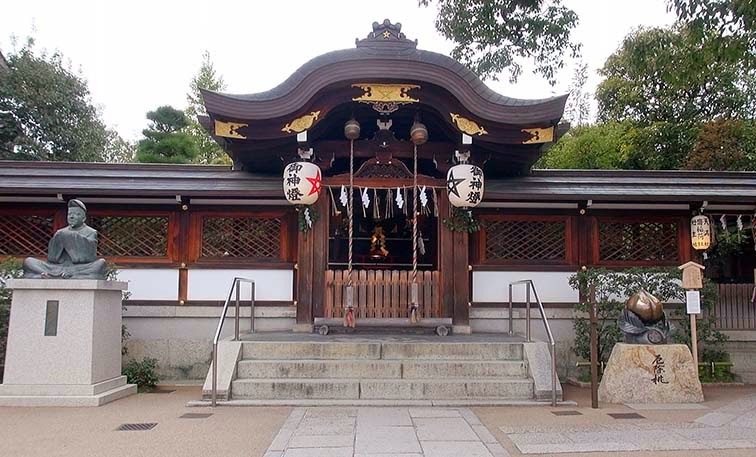 An enshrined deity is Abeno Seimei. 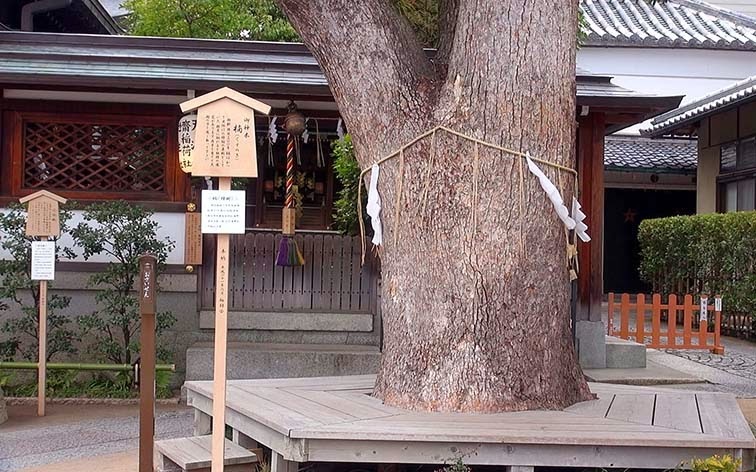 There is a camphor tree in front of the main shrine. Since worship finished, I tried to get the red seal. The charm etc. 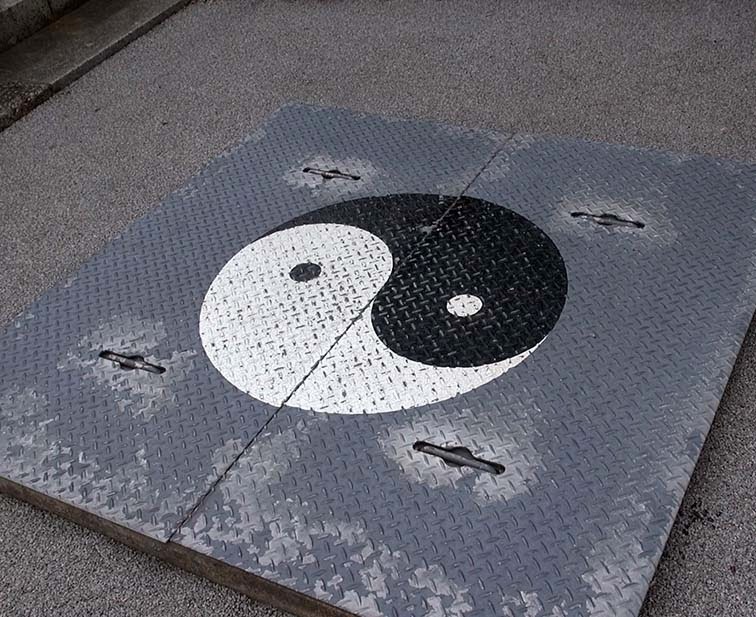 are sold at the precincts of a temple. I get red seal in there. There are some kinds of charms. I submitted the red seal book there. "It's a stamp, but do you no problem?" I got the first time red seal of the stamp. In shrines and temples all. Red mark is a stamp. 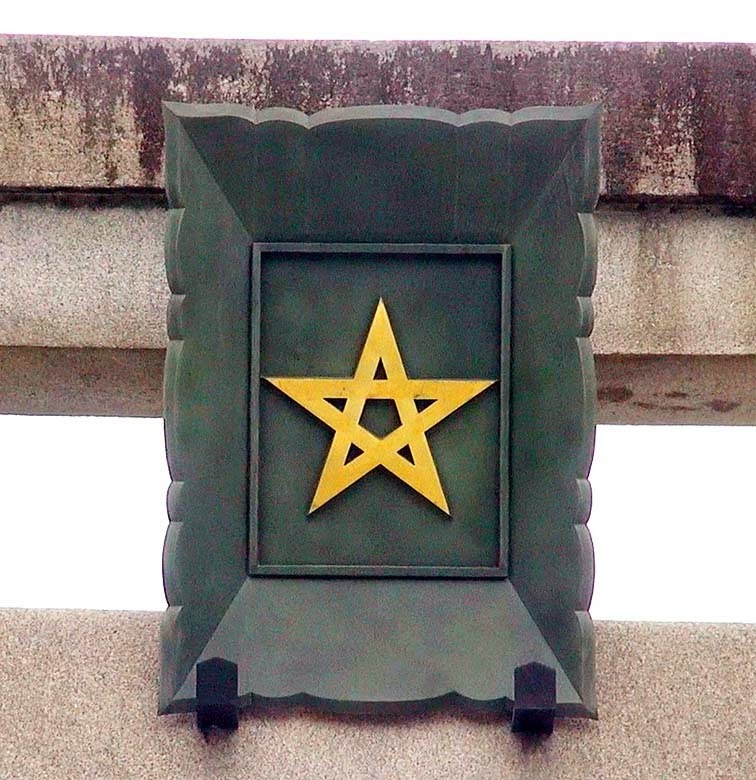 However, this shrine was also stamped black characters. What does red signify? Do all Shrines stamp a book? Is it like a tour of Shrines? 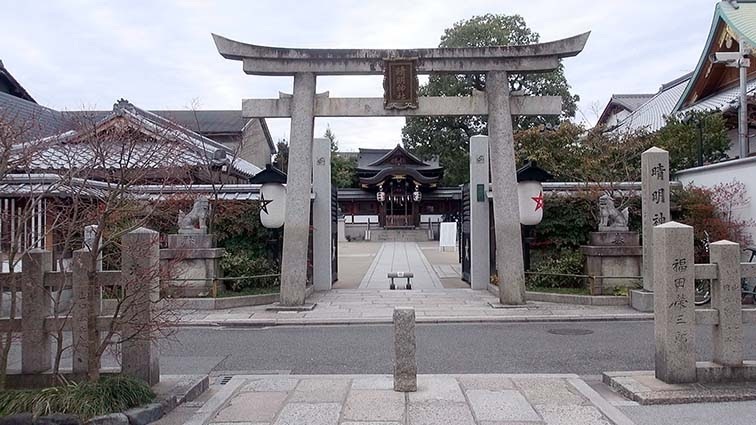 I'd love to visit a Shrine one day. Very beautiful. You can get it when you visit a temple or shrine. There are articles Syuin detail in Wikipedia. I also enjoy your bicycle travels and both of you have very nice nice bicycles. Would love to ride some of the areas of Japan, they look so pretty. Maybe one day. In SAPPORO, You will can eat a very delicious seafood. There is much food delicious besides a seafood in Sapporo. Sapporo is a very nice town. We are looking forward to next one. I will show you many videos from now on also.